I purchased this battery because of its two year warranty, as my previous one had begun to have difficulties after 13 months. It arrived extremely quickly, next day actually, fully charged and ready to go. I have only used it three times up to now but am pleased with its performance. Needed two new batteries for my electric wheelchair and called for advice and possible purchase. A helpful chap guided me their best deal and I was happy to purchase over the phone. Batteries arrived on time and are, as of now, working perfectly. I would not hesitate to recommend this company to friends/family. Excellent product, 16 holes on a hilly course with a very heavy bag, no problem, quick delivery, well packed. Re orded because quality was very good, and lasted long after guarrantee date. Nearly half price of my golf club quote. Delivery inside 48 hrs Wow!!. Highly reccomended. Sieht vernünftig aus wurde schnell geliefert. Ob der Akku auch eine lange Lebensdauer hat bleibt abzuwarten. Excellent service. I wouldcratecit 5 but too early to judge the battery. But performing well todate. Battery arrived as promised, works perfectly well. Great job by team Tanya. Lovely company to deal with. Excellent battery. I can now play a full 18 holes of golf with confidence that I won't be on my knees pushing my trolley on the last few. Holds a good charge as the trolley indicator does not drop below 2 out of 3 lights. Prise en compte, préparation et expédition de la commande faciles et rapides. Emballage très soigné. Caractéristiques des batteries reçues conformes pour le voltage et l'ampérage, mais avec un mode de branchement différent de celui de l'illustration, ce qui en a rendu l'installation dans le pack Robomow un peu plus compliquée. 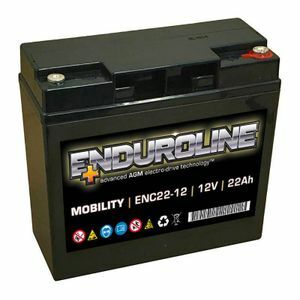 Good service battery for golf trolley ,only used three times ,so far seems ok.
super produit pour l'instant on verra dans deux ans!!!! livraison et emballage nickel!!! Very pleased with Tayna as price was competitive and delivery very prompt. Leads easily fitted and after two rounds of golf, all seems well. Cannot yet comment on 'life' of product. Fitted To: Hill Billy Golf Trolley Very old 'All terrain' Charger is new.